When you spend your first quarter century living somewhere, it will always feel like home. In my case, this somewhere is the Twin Cities metropolitan area of Minnesota. My husband and I have since been transferred to Iowa, two hours from our childhood homes. We frequently return to visit family and friends. On my last trip back, my old favorite places beckoned me, which was strange, because ever since my mom passed away I've avoided them like the plague. As I drove, I juggled thoughts of growing up with Shel Silverstein's The Giving Tree, for I had just attended a work training in which the facilitator read his book out loud. I'd heard the story many times as a child, but I don't remember it making me feel so sad. 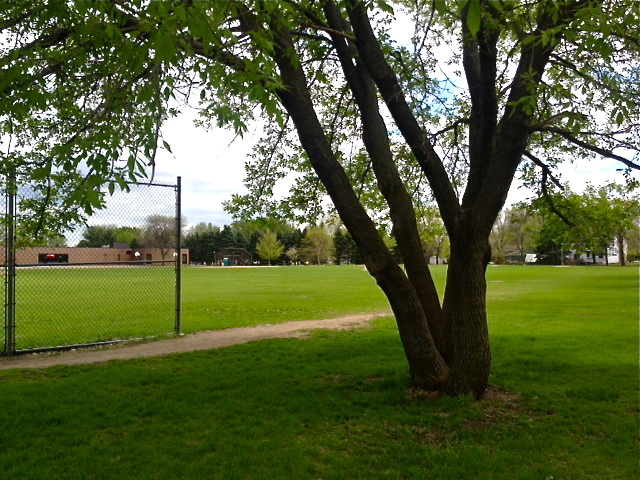 I paid my respects to the tree just beyond the fence at my elementary school and felt so much joy upon our reunion. We used to sneak back to this tree during recess where we'd lean against its trunk and dream about what we wanted to become when we grew up. Finally, I made one last detour past my old house and drove along the walking path. My family built our house before the path existed, back when the pond was dead and murky and the trees were young. Over two decades, we walked this path a thousand times. Even though my mom and dogs have since passed, I found myself pausing here, half expecting them to march around the bend at any moment. Losing loved ones is strange. People my age are so obsessed with the 90s because, for the first time, we feel our childhoods slipping away. The toys that we liked, the clothes that we wore, the foods that we ate are all becoming relics and the mere sight of them makes us wax poetically like they were the greatest things ever. The very things that once made our world go 'round like AOL Instant Messenger and the experience of perusing Blockbuster for the perfect video are now obsolete. We feel unsettled when we see Friends and Full House have replaced Mork & Mindy and I Dream of Jeannie on Nick at Night. And how could we have known that we'd speak of Shark Bites with so much enthusiasm or that an empty bottle of OK Soda might sell for $75 on eBay? Many of us are starting our own families and feeling anxious as we notice our parents aging. We've long since moved out of our childhood homes, so our parents are selling them in the hopes of downsizing. When we drive by our old homes for nostalgia's sake, we find ourselves holding our breath in anticipation to see if the new owners have sustained our giving trees or grounded them down to stumps. Some of us have lost loved ones, and we no longer believe we're invincible. We can see that there's an end in sight and that it's inevitable and totally real. We've moved past our quarter-life crises and are on to the next. It's not that we're the first generation to feel these things; it's just that we're starting to feel these things for the first time. Or at least, I am. I never did see my mom and two dogs turn that corner. The denim jacket in the back of my closet still hasn't cycled back into style and I can't bring myself to discard my old yin yang friendship necklaces even though I can't remember who holds the other halves. But the magnolia tree beneath my old bedroom window still grows, and so, for now, everything still feels OK.